A significant amount of interest was expressed in a recent book study class about using computers and smart phones for praying the Daily Offices. I thought there might be similar interest in the greater community for those who have not yet discovered the benefits of being able to log on to the Internet and say your prayers wherever you might be. Last week one of our parishoners noted on Facebook that he'd done one of the Daily Offices at 30,000 feet for the first time in his life! 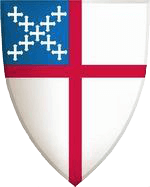 Below are links for the Episcopal Church's Daily Office and one for the Church of England.Some have "Apps," but I've found that with my Droid smart phone I can just bookmark them for my opening screen and immediately go to them. Mission St. Clare is one of the longest-standing online sources for the Daily Office. St. Bede's Breviary (a breviary is a book containing the Daily Offices of Morning, Noon, Evening and Night [Compline] prayers. A breviary may, or may not, contain the scriptural readings for the day). This is St. Bede's Breviary, but has fewer options; it would be easier for beginners. The Church of England's Daily Office. Please note that the arrangement for the psalms and lessons are different than ours, but the structure for the Offices remains the same. Additionally, I have included this site as a supplement to the lectionary site that is listed below for Sunday's readings. This one contains both the readings for both the Daily & Sunday Holy Eucharists.